Ushuaia is the main destination for Tierra del Fuego travelers and receives loads of attention as being the southern most city in the world. There are just over 101,000 inhabitants of Ushuaia who have managed to capture and retain the small town feel with Argentine cultures and traditions amidst the pressures they’ve faced over the years while developing from a small village to a modern city. An amazing escape into nature is just a pebble toss away from the town center making outdoor adventure a huge piece of their local industry. And to meet the high demand of the tourist market they have created a fun and welcoming atmosphere within the city limits as well. Some of Argentina’s finest dining can be found in Ushuaia as well as immaculate hotels, fascinating museums displaying their local history, and an exciting nightlife. The Beagle Channel is about 150 miles of water that separates the main island of Tierra del Fuego from the other smaller islands in the archipelago. The wonder and appeal of this beautiful area is so significant that it has even caused border disputes between Argentina and Chile that were not finalized until 1985. Today there are numerous companies that offer tours through the Beagle Channel. A cruise ship takes you through the Channel with the Isla Grande on one side and the smaller Isla Navarino on the other water. The views are stunning and you can gain a whole new perspective on Ushuaia s you look back to the lit up city from the deck of the boat. Although the main island of Tierra del Fuego lies on the Argentine side, it is also encompasses some Chilean territories. Punta Arenas is a beautiful city on the Chilean side that is surrounded by mountains, glaciars, and water. A popular mode of transportation to view all parts of Tierra del Fuego in both Chile and Argentina, is to board one of the impressive cruise ships that disembark form the Punta Arenas shores. Antarctica is one of the most extreme and barren parts of the world and it is just 1000 km away from the shores of Ushuaia. The glowing blue glaciers are characteristic to these mysterious lands and hidden within these unique quarters you will find some of the most courageous animals in the world. Those that are willing and able to survive in the Antarctic conditions have got to be just as extreme as the surroundings and weather themselves. 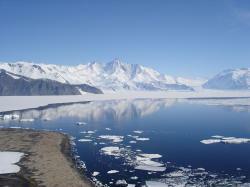 A trip to Antarctica is every world explorers dream and a once in a lifetime opportunity. You won’t find any sort of civilization in these parts but you will be so distracted by the scenery as you weave your way through the land of ice with your cruise ship companions, that you will be glad to have left your more cultivated life behind for a few days of a true adventure. From the mountain peaks to the sea side cruises you will find all forms of exploring the outdoors in Tierra del Fuego. Those who reach The End of the World typically want to adventure even further beyond that, and in doing so they board one of the extremely popular cruise ships. From the ships deck they can look back over the Ushuaia shores and stand in awe at the beauty that makes this land so popular. The cruise ships are a must, but exploring the land itself is also highly encouraged whether it be through biking, hiking, horse back riding, overlanding, kayaking, or anything else other options you find along the way. Every new path and trail head will lead you to an unexpected piece of beauty and surprise. For more information regarding the specific tours and expeditions that are available in the area please see our Tierra del Fuego Entertainment section below. This page rendered in 0.258 seconds.